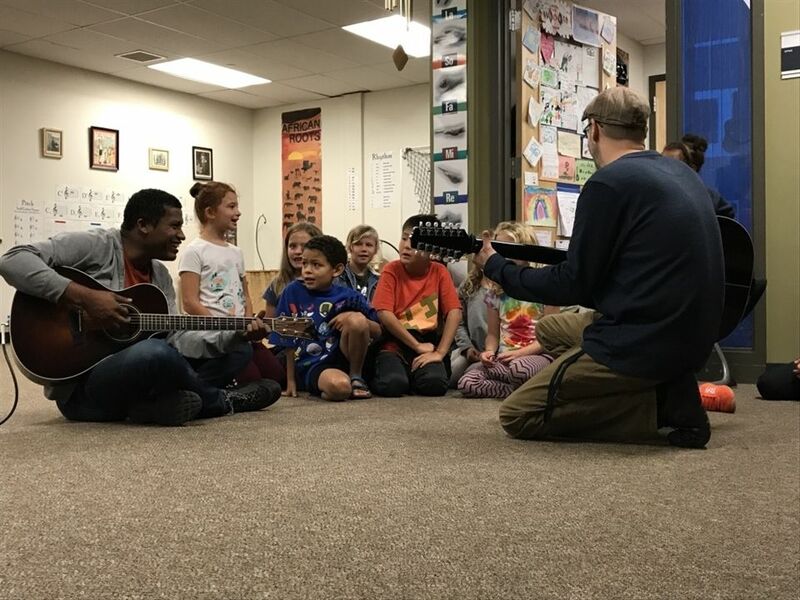 On September 19, we were so fortunate as to have a guest musician visit and play for the Third Grade music classes. Tcheka is an international singer, guitarist, and songwriter originally from Santiago, Cape Verde, an island nation off the coast of West Africa. He is a good friend of the Fernandes family and is in the U.S. for the World Music Festival in Chicago.